Of all the existing home renovation and remodeling ideas, kitchen remodeling seems to be one of the most undertaken. Updating your kitchen to suit your current needs is an essential process. More often than not, homeowners are on the lookout for trending kitchen designs and latest remodeling ideas to implement. The good news at EA Home Design is that you don’t need a spacious kitchen to embrace certain kitchen design ideas. You can give your small kitchen a new look by taking advantage of the following designs. Most kitchens in modern homes exhibit concrete finish. This is a significant shift. Traditionally, concrete was reserved as a rough finish for commercial spaces like warehouses. Observably, concrete isn’t just perfect for kitchen services but also ideal for the other parts of your home. All you need to do is ensure the presence of perfect synergy between it and other material used in kitchen design. Going commercial by embracing concrete surfaces (including bench tops an flooring) saves you the stress boring sterile space. Instead, you will be assured of warm contrast surfaces. EA Home Design experts pride themselves in blending fine concrete finish within small kitchens. You will not have any reason to be disappointed when you seek our services. This is yet another popular design in contemporary kitchens. Ideally, this trend is all about clashing varied colors and surface material. It might not be an easy trend for everyone but ideally something worth trying out for the non-conservative homeowners. You can decide to blend pastel colors with bold cabinet colors. At the end of the day, you just need to play around with varied surface materials and find a winning combination. The services of a professional designer come handy in implementing this design. At EA Home Design, we are always willing to offer incredible assistance when it comes to clashing colors to fit your small kitchen. Together with our experienced experts, you will go through multiple design inspirations before settling on one. You have probably met this while flipping through the pages of real estate and interior design magazines. What most homeowners do not know is that their kitchens do not have to be as spacious as those exhibited in the magazines for them to embrace this design. Looking at the magazines, it might seem complicated to implement, but that’s not the truth. You can simply start by introducing bar chairs and pendant lights. Being a small kitchen, you wouldn’t have to worry about stuffing it with varieties of metallic appliances. Well, this has gotten many people talking in the recent past. 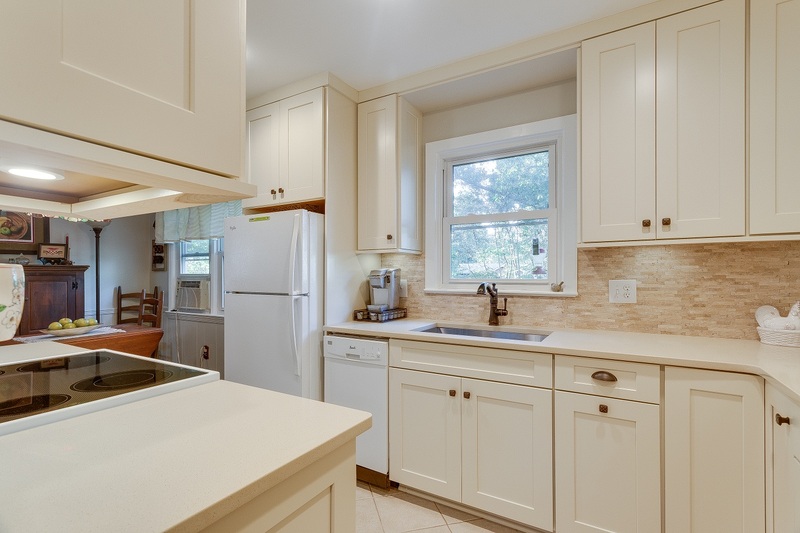 From what it seems, it is a redesign of the traditional colonial kitchen. 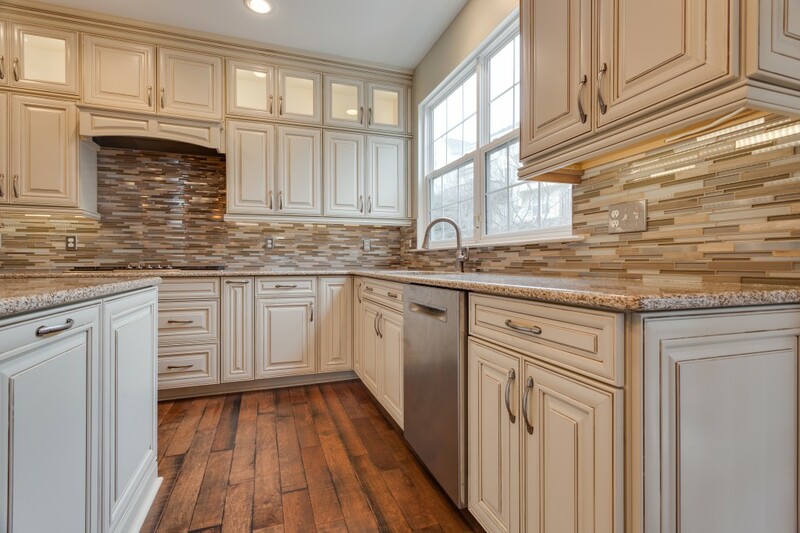 For someone doing a quick kitchen renovation, you can start by putting in place shaker style cabinet doors and glass front feature cabinets. To maintain this trend in other appliances, simply keep the color pallet white and clean. Just remember that you do not have to know it all to implement it; our interior designs experts are always there to help!